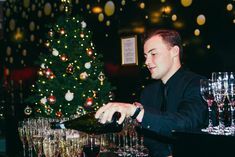 For smaller companies or large departments, shared parties can be the ideal way to celebrate Christmas with your colleagues. They allow smaller groups to enjoy the experience of a large scale, high-end party without the need to meet minimum numbers and at a fraction of the budget required to hire the whole venue yourself. 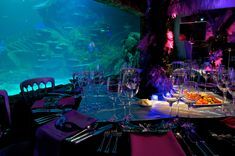 For Christmas 2016 Merlin Events in partnership with Food by Dish are offering two of London’s most unique and exciting packages for shared parties, with the option of visiting either Shrek’s Adventure or London Dungeons, both located on the banks of the River Thames. Guests are able to kick off the evening with a drinks reception and three course dinner at the elegant Riverside Rooms, where you can marvel at some of London’s most iconic sites including the Houses of Parliament and the London Eye. Following this you will continue onto a VIP tour of your choice of attraction – either Shrek’s Adventure or London Dungeons, where you will then be able to carry on partying into the early hours! For more information and to book your place at these Christmas parties please click here.